211’s award-winning telephone helpline (2-1-1) and website provide a gateway to community, social, non-clinical health and related government services, helping those in need navigate the overwhelming, complex network of available human services quickly and easily, 24 hours a day, 7 days a week. “Faced with a complex maze of phone books, help lines, directories, and voice mail systems, people often don’t know where to turn. By combining information about community services with cutting-edge technology, 211 will create a powerful new information and navigation system for Islanders”. Shared Andrea MacDonald, CEO United Way of PEI. While services that are offered through 211 vary from community to community, 211 provides callers with information about, and referrals to, human services for both everyday needs and times of crisis. 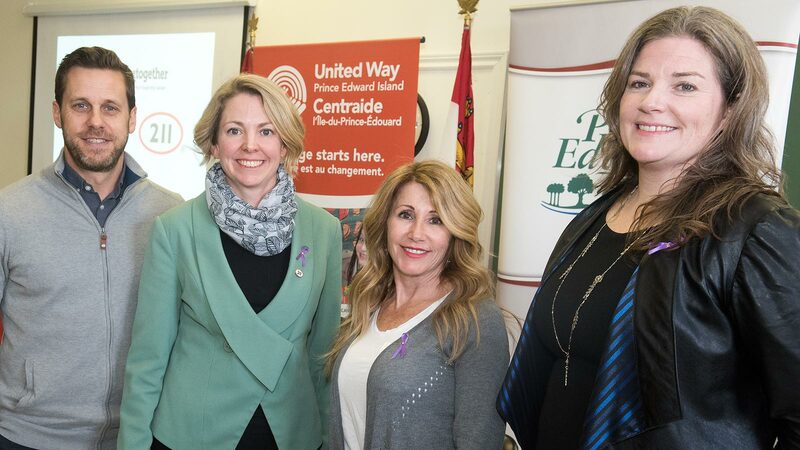 The United Way of PEI will implement and manage the 211 system, with the provincial government providing $871,000 in funding and support, with the goal of improving system navigation and access to service delivery for Islanders in need. “By dialing three simple digits Islanders will connect to all social programs and services offered across the province in a manner that is timely and personalized to their needs. The extended service navigation feature of 211 is a welcome additional support, particularly for those who may be vulnerable or have complex needs,” said Family and Human Services Minister Tina Mundy. Over the coming months, The United Way of PEI will be reaching out to community organizations to help build the extensive database of available programs and resources needed to deliver 211 successfully to Islanders.